Siberian Huskies are large, beautiful dogs that many people love. Lots of clubs around America are devoted to them, and their members are involved with many interesting activities like specialty shows, sledding, socials, educational seminars and other fun events. The Siberian Husky Club of America was established in 1938. 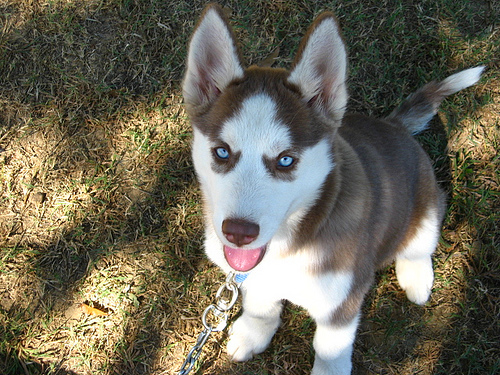 Today, it stands as the national American Kennel Club breed club for Siberian Huskies. They are currently in action to keep up the purebred standard, encourage regional clubs, educate members and breeders, encourage sportsmanlike competition at dog shows, sled matches and obedience trials and put on AKC-sanctioned specialty shows. Their website has many great resources about the breed, like history and breed standard. The Siberian Husky Club of America also holds a national specialty show. Those interested in joining this club should read the rules and procedure. The Yankee Siberian Husky Club is based in Massachusetts and does activities around New England. They hold events like general meetings, board meetings and AKC match shows. Click here for information on membership. The Bay Area Siberian Husky Club is dedicated to this breed, and is an organization where Husky enthusiasts like to show their dogs and participate in fun activities. Some events include meetings, hikes, camp outs, winter trips, ice cream socials, specialty shows, fun matches and parades. They also publish a monthly newsletter. Members of this club are even networked with some dogs up for adoption. 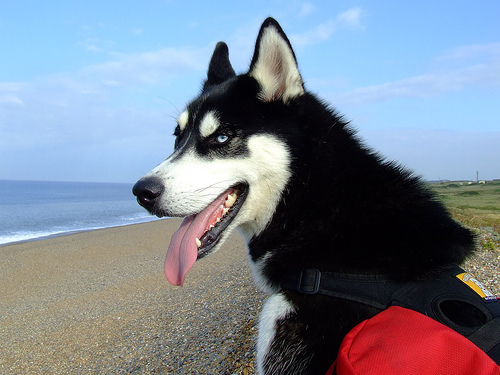 People interested in joining the Bay Area Siberian Husky Club should click here. This Ohio club was first organized in 1960, and is today involved in lots of fun activities like sledding, hikes, educational seminars, workshops, match shows, specialty shows, programs on breeding and raising puppies, evaluation clinics and more. They also hold a number of parties and meetings for members, who are very diverse and range in ages from their 20s to their 70s. Those interested in membership should contact this club. This New Jersey club has members from assorted states in the area. These people and huskies go through many different activities related to these dogs, including conformation showing, tracking, rescue, sled dog training, sled dog racing, obedience, rally and agility competition and simply loving their dogs. They also hold eye examination clinics, educational seminars in schools and specialty shows. There are also a number of social activities, such as annual picnics and Christmas parties. This club also does general meetings. Those interested in adopting huskies should check out their breeder referral, and know some local rescue groups. 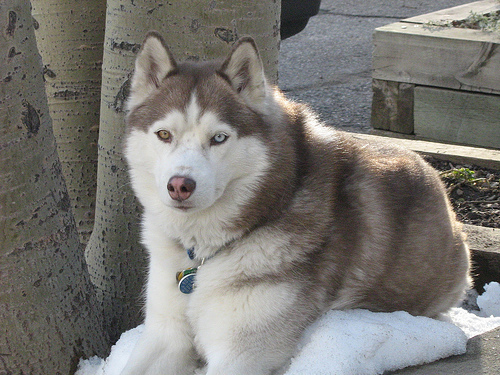 The Rocky Mountain Siberian Husky Club is based out of Denver, Colorado, and they are dedicated to the “preservation and enjoyment of the Siberian Husky.” Members are involved in showing and sledding their dogs, along with simply having them as companion pets. They hold monthly meetings, and some of them address educational topics like nutrition, genetics and hereditary diseases. They also do specialty shows, eye examination clinics, fun matches, potluck dinners and other events. Those who are interested in membership should check out this page. This club is headquartered in Rochester, New York, and has members around the Western NY area. They hold a specialty show each May, and an annual sledding race in January or February, as well as other fun activities throughout the year for humans and dogs. They are also networked with some rescuers. This husky club has many members who own one to 15 Siberian Huskies. They participate in things like showing, racing, rescue, obedience and owning dogs as pets. This NC club is involved in many different shows, events, meetings and other related activities. Click here to view a membership application. This Georgia club is involved with community service and breed education, and they also put on an annual specialty show. They have been around since 1974. This upstate New York club is for people in the area who own, breed, sled and love Siberian Huskies. Their meetings are sometimes themed around veterinary health issues, new dog products, information on dog sledding, breeding puppies and dogs working for the handicapped. Some members even put on handling classes, and their meetings are dog-friendly. The Northern California Siberian Husky Club has been around since 1971, and they hold meetings in parks throughout the Bay Area. Some of their meetings include information and videos on conformation, general care, sledding, grooming, nutrition, genetics and other relavent topics. They also sponsor some specialty matches, tattoo and eye clinics, informal sledding and more. They also publish newsletters about every other month.